Learn how to protect yourself and your loved ones from noise-induced hearing loss (NIHL), and help spread the word about hearing health. People of all ages can be affected by NIHL. Signs of NIHL may not be obvious at first, but they can build over time. A recent study shows that about 13 to 18 percent of children and teens ages 12 to 19 have signs of possible NIHL. “Make healthy hearing a habit when you are young so that you can avoid NIHL. Exposure to loud sounds can have life-long consequences on your hearing, including making it difficult to communicate with others and to appreciate the sounds of nature and music,” says the National Institute on Deafness and Other Communication Disorders’ acting director, Judith A. Cooper, Ph.D. Turn down the volume. Set maximum volume limits on electronics and keep the volume low on music devices and TVs. Sounds at or above 85 A-weighted decibels put you at risk for NIHL, especially if they last a long time. Move away from the noise. To reduce sound intensity and the impact of noise on your ears, increase the distance between you and the noise. Think of this simple step when you are near fireworks, concert speakers, or in a loud restaurant. 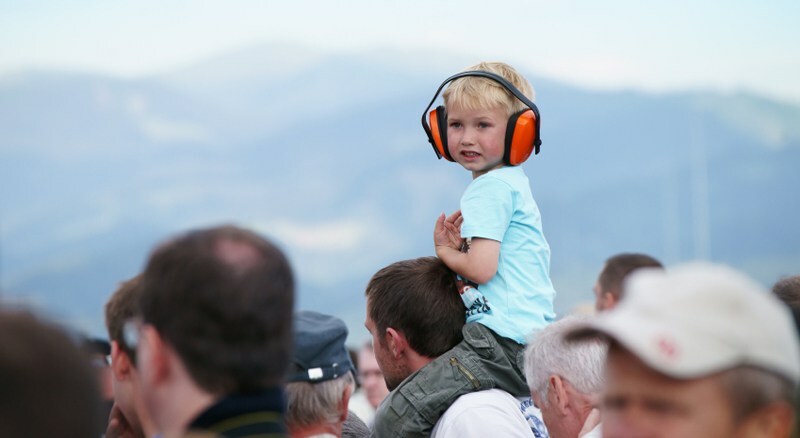 Wear hearing protectors, such as earplugs or earmuffs. Sometimes you can’t easily escape the sound, whether you’re at a movie theater, a concert, a sporting event, and in a noisy work environment. Earplugs or protective earmuffs can help. If you’re a parent, carry hearing protectors for your little ones and be a good hearing health role model by wearing them yourself. If you don’t have hearing protectors, cover your ears with your hands.